Experience the freedom of Passover the way our ancestors did when they left Egypt 3,322 years ago. We offer a warm, interactive Passover Seder. Our Seder is English friendly and not prayer intensive, so everyone can feel welcome. Enjoy fine wines, full dinner, and crispy hand-made Matzot. Celebrate the Holiday of Freedom at a Seder experience you will remember for a lifetime! 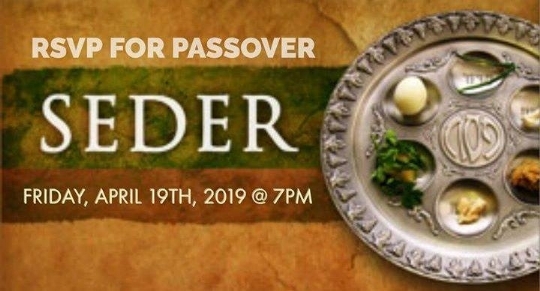 Seder , Friday April 19th 7:30 p.m.